Bastø Fosen AS was founded on 12th October 1995, and is a wholly owned subsidiary of Torghatten ASA. The Company operates ferries between Moss and Horten. 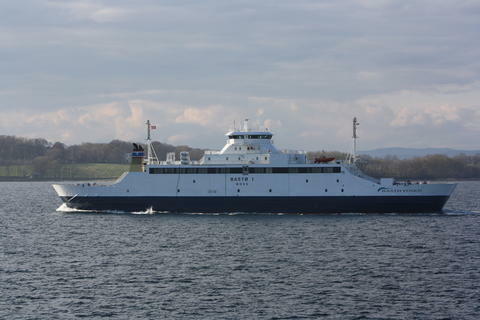 In 2012, 1.7 million vehicles and 3.4 million passengers travelled with Bastø Fosen, making the Moss - Horten connection Norways largest inland ferry link. The company has 310 employees. The ferry link forms part of the national road network in Norway, and is served by 5 ferries. Bastø I and Bastø II each has a capacity of 200 passengers car units and 550 passengers. Bastø III has a capacity of 212 passenger car units and 540 passengers. Bastø IV has a capacity 106 passengers car unit and 399 passengers, while Bastø V has a capacity of 115 passengers car units and 399 passengers. Enjoy the panoramic view from our light, attractive lounges during the crossing, which takes about 30 minutes. Treat yourself to something delicious to eat and drink in the cafe.